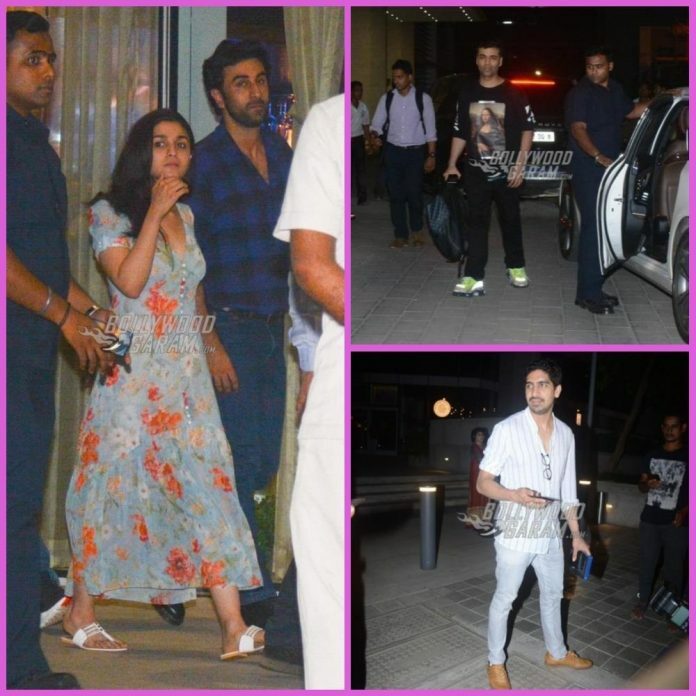 The entire Brahmastra team was snapped coming out of a popular restaurant in Mumbai on May 3, 2018. 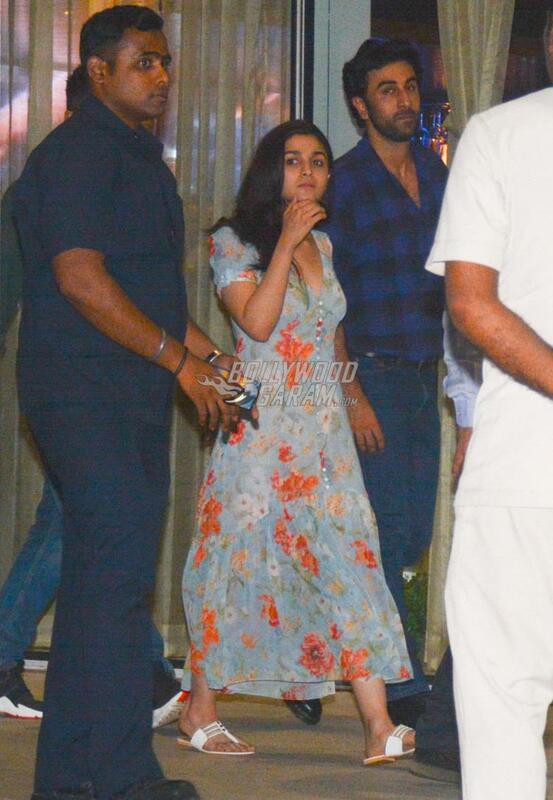 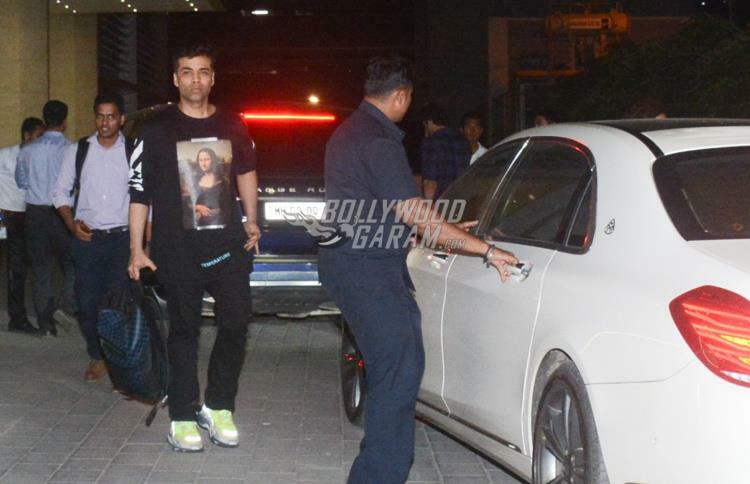 Alia Bhatt and Ranbir Kapooor were seen accompanied by producer Karan Johar and director Ayan Mukerji. 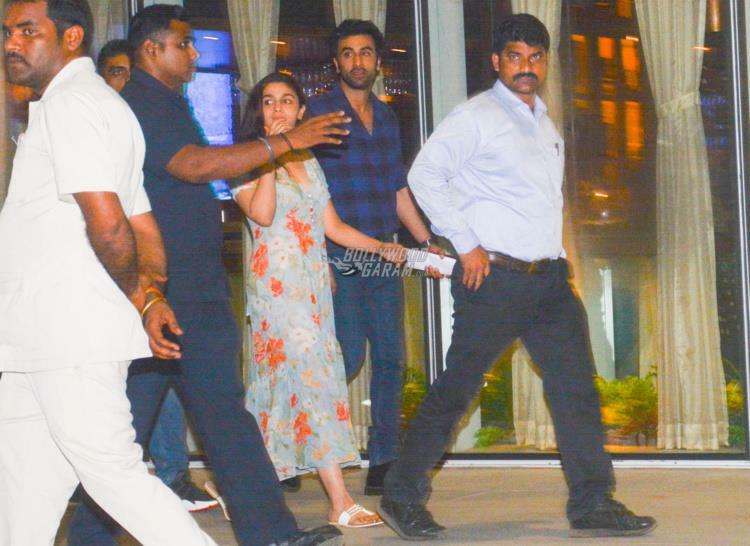 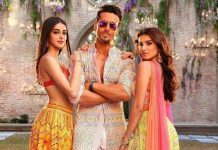 The Jagga Jasoos actor looked great in a black and blue checked shirt and black denim while Alia was seen in a pretty in a floral outfit. 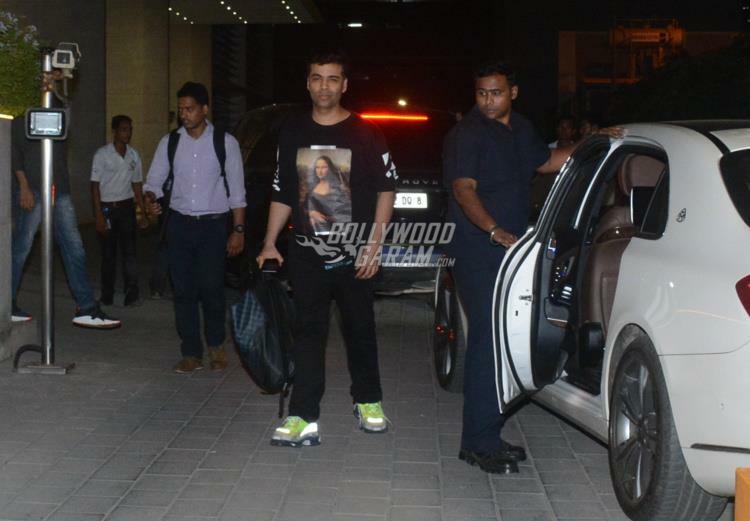 Producer Karan was at his casual best in a black printed t-shirt and black pants. 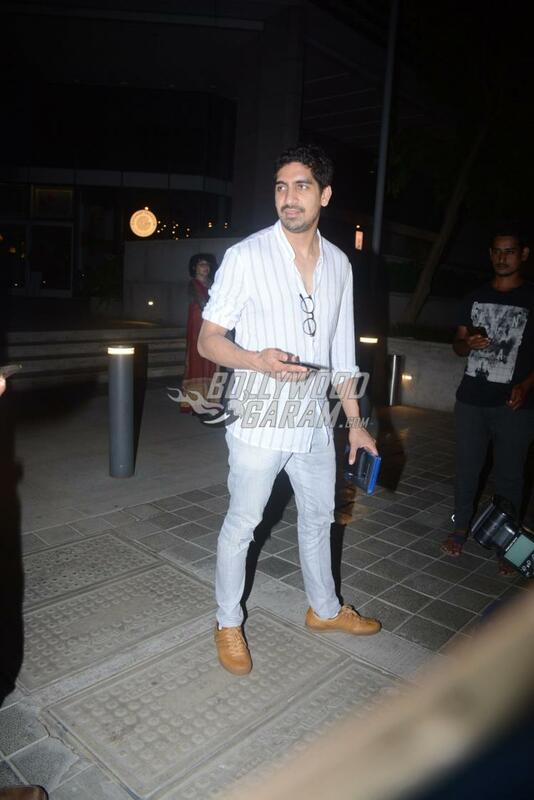 Director Ayan was seen posing for the shutterbugs and looked great in a white striped shirt and light denims. 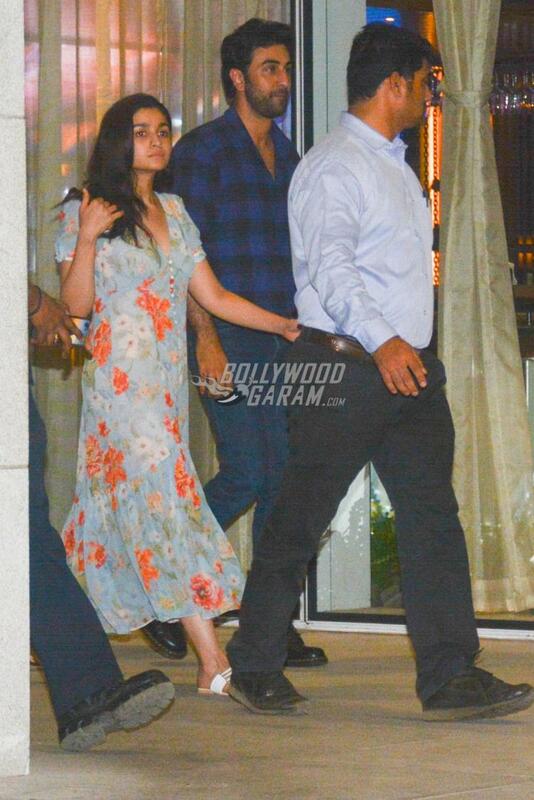 Alia is currently promoting her upcoming film Raazi which is ready to be released in theatres on May 11, 2018.